Blue Series artists consistently deliver world-class performances that rarely fail to push the creative envelope. 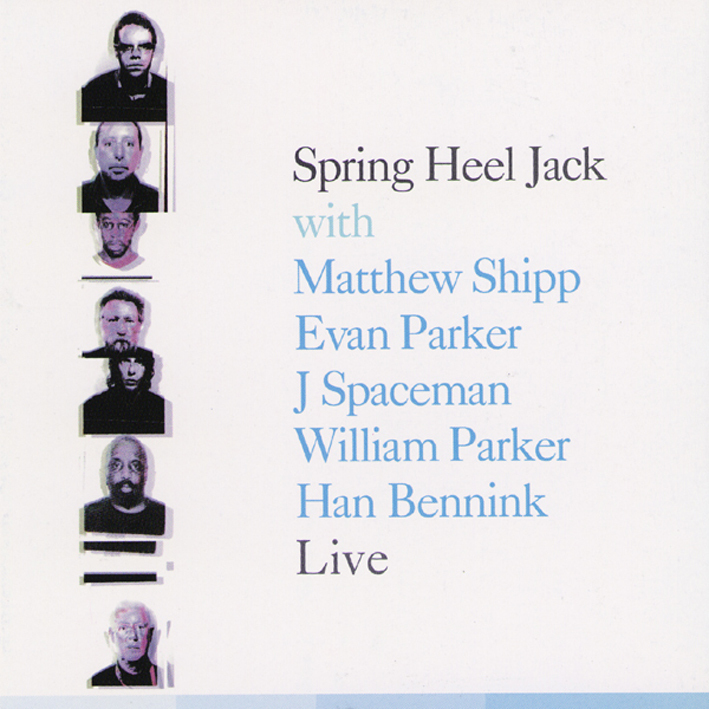 Having twice captured their utterly original blend of free jazz and electronic ambience in the studio with Masses and Amassed to great success and widespread acclaim, it was only a matter of time before Spring Heel Jack decided to take the show on the road. Only, this touring band is unlike any you've heard before, and unlike any you're likely to come across in the near or distant future. The two-part studio adventure of Masses and Amassed has now become a trilogy with Spring Heel Jack Live. Where Masses focused on an accomplished group of American improvisers and Amassed served as the European counterpart, the lineup assembled for the U.K. tour documented on this recording brought together players from both sides of the Atlantic and several disparate schools of musical thought for a tour de force of improvisation and electronic manipulation. Ranging from subdued and beautiful to raging and earthshaking, Spring Heel Jack Live reveals new sides of musicians who have spent a lifetime searching for the undiscovered. William Parker and Matthew Shipp are close associates, but for this tour Shipp's instrument of choice was the classic Fender Rhodes. Jason Pierce, known throughout the world as the front man for the rock band Spiritualized, sounds just as assured in this entirely new context. From the opening ring of John Coxon's distorted guitar to the schizophrenic drumming of Han Bennink to Ashley Wales's twisted regurgitations of Evan Parker's tenor saxophone, this music will surprise even the most rabid fans of Masses and Amassed.